In order to get the best printing results, there are a few things you'll want to set up in your internet browser's settings. We recommend using Google Chrome as your browser for the best experience – download it for free here. Storypark is configured to print stories in A4 format. Follow the instructions below to make sure your browser is printing in this format. 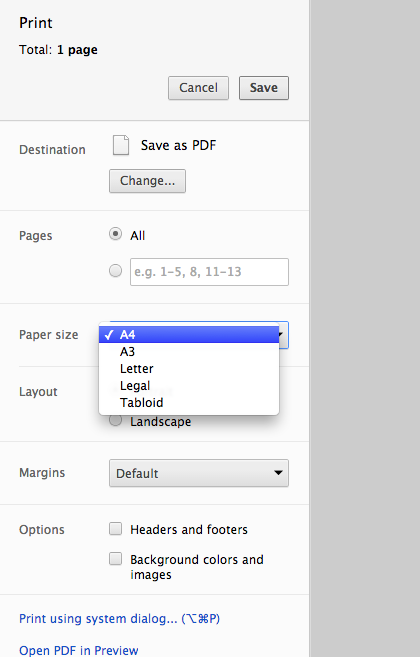 After clicking the 'Print story' button simply select 'A4' from the 'paper size' menu. 1. After clicking the 'Print story' button in Storypark, click the 'Preferences' button within the 'Print' dialog box. 2. 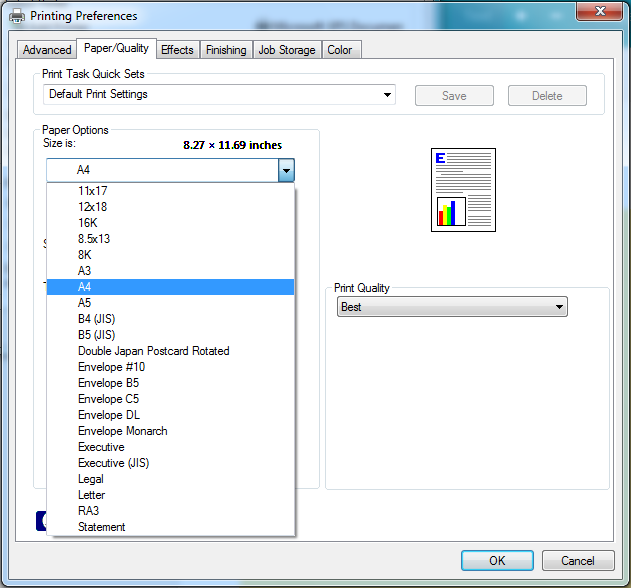 Under the Paper/Quality tab in the 'Paper options' menu select 'A4'. If you are trying to print a story with a background colour, Internet Explorer and Firefox users will need to also turn on 'Print Background Colors', usually found under Page Setup. Chrome and Safari have this option turned on by default. This article explains how you can remove the number of pages, date, title etc. that the browser applies to the headers and footers of each printed page by default. 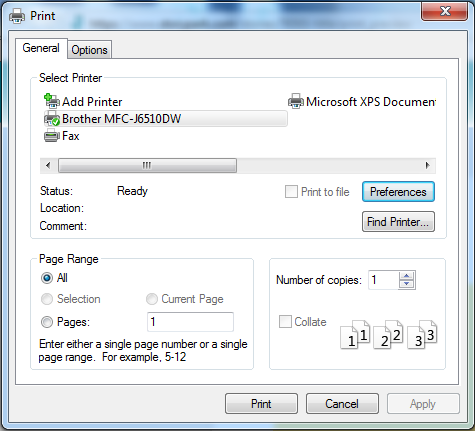 Since all printers have slightly different set-ups, these tips may not work for you. If you find a better way, we'd love to hear about it. Please contact us and let us know. (Please include your browser, operating system, printer type and any other information that you think may be helpful). Thanks!